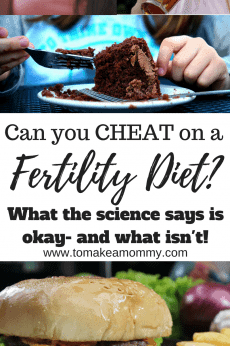 By now you’ve probably heard that BPA and phthalates are some of the most dangerous chemicals out there when it comes to male and female fertility. BPA & Phthalates are endocrine disruptors that are linked to decreased fertility in men and women, miscarriage, and pregnancy complications. They are also linked to cancer and to intellectual and emotional developmental complications in children. In other words this is stuff you DO NOT WANT in your house. While you can mostly avoid BPA through lifestyle choices, unfortunately you cannot completely avoid phthalates- they are in plastics, fragrances, personal cosmetics, car upholstery, vinyl, and all sorts of other kinds of materials you simply can’t completely avoid. 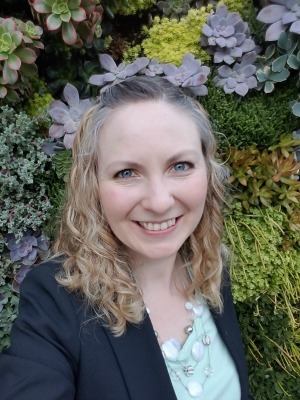 In this article I’m going to talk about BPA and phthalates interchangeably- this is because the research shows the same results for phthalates as for BPA, just not as dramatically (yet). This is why the FDA is actually paying attention to BPA but not yet to phthalates. Don’t buy BPA-free plastics or products- the BPA has been replaced with other phthalates which are just as disturbing. 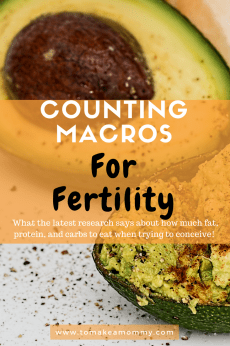 Here’s the good news- by drastically reducing your exposure to BPA & phthalates, you can drastically improve your fertility and changes of a healthy pregnancy. You can also safeguard your fetus, infant, and small children. Let’s take a quick look at the research to understand why making lifestyle changes can make such a difference. For fertility (time to conceive), IVF success (implantation), and live births (i.e., no miscarriage) all the research says the same thing– the women and men with higher amounts of BPA and phthalates in their system had worse outcomes; the women and men with lower amounts of BPA and phthalates had better outcomes. The research also shows that no one has zero phthalates in their system- in today’s day and age, it doesn’t exist. You can’t live in a bubble. So think about it as a continuum from zero to 100 . . . where zero would be in some imaginary chemical free world where there are no phthalates found in your urine or blood, and 100 is you are totally overloaded with phthalates (you’re, like, eating plastic and spraying perfume in your mouth). Without any intervention, imagine yourself around an 80- one of the people with higher concentrations, who would have a harder time keeping a healthy pregnancy. The REALLY REALLY good news is that multiple studies show that interventions, such as avoiding plastic packaging in food and eating fresh food instead, or swapping out your personal care products for phthalate-free, quickly and drastically reduce the phthalate (and BPA) level in your bloodstream. The study on avoiding plastic packaging and eating fresh food instead dropped phthalate levels in 8 days between 25 and 75% (depending on the type of phthalate). The study on personal care products showed drops between 27% and 45% in THREE days.This is huge. 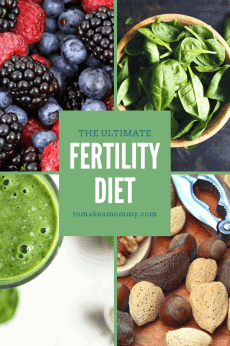 This means you don’t have to wait 90 days to see a difference in egg or sperm quality- you are going to make a difference within a couple weeks of changing your lifestyle. So– if you implement both of these PLUS all my suggestions below- you are going from that 80 on the phthalate continuum and dropping down to like a 20 or a 30. If you live a perfect phthalate-free as you can be life, you will have the least phthalates in your system as anyone. You have moved yourself into the more successful groups for conception, implantation, and pregnancy success. 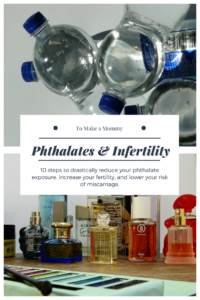 Okay- how do I reduce my phthalate levels?? 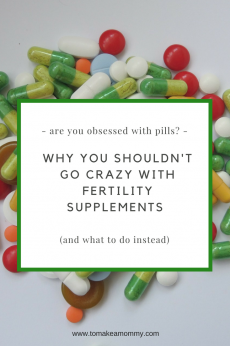 Now that you’re convinced, let’s talk about the quickest ways to change your life, limit your BPA & phthalate exposure and lower the levels in your blood (and in your hubby’s blood)! Stop eating and drinking from plastic containers. This includes “BPA-free plastics” – they are just as bad. Avoid buying things in plastic whenever you can, avoid soft plastic water bottles like the plague, and never ever microwave plastic or put it in the dishwasher. Throw away your old tupperware and use glass, stainless or ceramic containers. For home storage we use glass pyrex, mason jars, and stainless canisters with cute labels. For water bottles use glass or high quality stainless- our favorites are Lifefactory glass bottles and Klean Kanteen with a stainless top. Throw away any personal care items or cleaning items that contain “fragrance” or “parfum.” Only buy items that are specifically “phthalate free.” Don’t forget to check your deodorant, shampoo, conditioner, soap, moisturizer, laundry detergent, etc.! See all my favorite non-toxic items here! Ditch your vinyl shower curtain. All vinyl products have phthalates. Replace your shower curtain with a high end one like organic hemp or a cheap cloth one like this. Avoid dairy and limit your high fat meats. All dairy and meat (even the local, organic kind) is processed through plastic and is tainted with phthalates. Dairy is the worst because of all the plastic tubing and storage containers. The warm, high-fat liquid is the most sensitive to phthalate accumulation. Limit eating out. Unfortunately, most food at restaurants and especially fast food, is going to be laden with BPA & phthalates. This comes from the way to food is handled and stored. Even at my favorite hippy, locally sourced cafes I’ve watched the barista/sandwich maker stick a plastic wrapped food item in the microwave. Eat freshly prepared food at home whenever possible. Don’t handle receipts. Most receipts (except maybe those at your fancy organic health food store) are covered in phthalates or BPA. GROSS! Decline the receipt if possible. When you have to handle receipts, don’t eat anything or touch your mouth until you wash your hands. Never let small children handle receipts. And- throw receipts in the trash NOT the recycling bin- we don’t need those chemicals getting recycled. Stop eating anything that comes in a can, and limit the amount of food you eat that is packaged in tetra-paks (the little cardboard containers). Most cans are lined in BPA, but even those that are “BPA-free” are still lined with phthalates. Buy fresh, eat fresh. Stop using plastic cookware and ditch your plastic coffee maker (that means you, Keurig!). Hot food, oil, and boiling water touching plastic are recipes for phthalates in your food and beverages. We use a glass drip system for coffee, wood or stainless utensils, glass and cast iron bakeware, stainless accessories and glass mixing and measuring bowls. See all my favorite non-toxic kitchen products here! Filter your drinking water. Unfortunately, phthalates can be found in our drinking water. It is very hard to filter out phthalates and other endocrine disruptors from drinking water. The best filter I could find in the $400 price range (and not $1000+) that reduced phthalates is the one we use by Pure Effects. 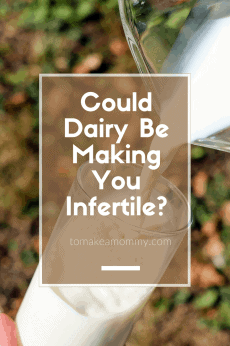 Read my full post on filtering water for fertility here. Every week damp-dust and vacuum with a HEPA-filter vacuum. Phthalates live in the dust in our homes. When eliminating dust, you need to make sure you aren’t just pushing it around, or breathing it in. That’s why a HEPA filter vacuum is so important. When buying a HEPA filter vacuum, make sure the details specify that filtration efficiency is at least 99.97% and that particles retained are as small as 0.3 micrometers (formerly microns). Vacuums with HEPA filters do the best job of removing dust particles from your house. We splurged on a Dyson a number of years ago and we still love it. I can’t find the same model on Amazon now, but here is a gorgeous one much like what we bought. Here is Dyson’s statement about dust-removal. For removing dust from wooden furniture, damp dust with old rags or with reuseable cloths, like microfiber dust cloths. Wash your bedding weekly. Phthalate-filled dust can accumulate in your bedding where you spend (hopefully) 7-8 hours of every day. Wash your sheets in hot water and a safe non-toxic detergent like this one. I never considered any of this!! This one will be a bit trickier than most. 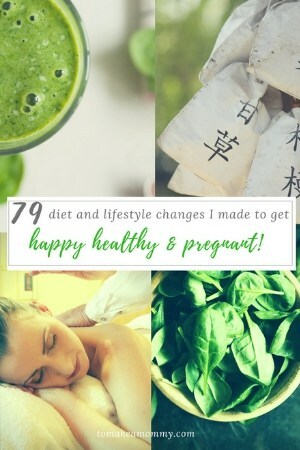 Lifestyle changes. I cook a lot with beans, if I ditch the cans and buy dry beans, would washing the dried beans before cooking remove any residue phthalates from their original bulk containers? I’m guess plastic grocery bags as well? Good luck on your changes!! Thank you for the list, it’s really helpful! Are you aware that Dyson has a California Prop 65 warning (specifically related to Phthalate content) on their products? UGH it is so ironic that we vacuum up phthalates with a product made with phthalate! Here’s the problem- as far as I can tell all vacuums on the market have that warning because they all use soft plastic somewhere for their tubing. So until they make a stainless/glass vacuum we are out of luck. In the meantime, use the same precautions you do with any soft plastics, tubings, or cords. Don’t eat off of them and WASH YOUR HANDS after handling. This is especially important for any cords from electronics, and things like Christmas lights. We’re not just worried about phthalates here, we are worried about lead! So, back to the vacuum, after vacuuming, washing your hands! I did reach out to some fellow non-toxic/green super bloggers to see if any of them had ever heard of a vacuum made of completely non-toxic materials and they said no. Their only suggestion was to go shopping in Europe and hope for the best. We’ll get there!!! Hopefully they will figure out how to make soft plastics without phthalates in the future! My First IVF got failed due to poor egg quality. MY AMH is low (.90)and FSH(17) is high. Please suggest me based on india. I am so sorry! Suggestions for egg health are the same the world over!!! My website is full of ideas for addressing FSH and AMH- all the work you can do for overall egg health and your own health will help. Baby dust!! I ordered a polyester shower curtain-is that ok? Yes, it seems strange to order polyester but as far as I know they don’t off gas!! Ok so plastics are bad. I have some cooking utensils that look plastic, but the label said “nylon” are these ok or a no go too? I am not a chemist but I wouldn’t use them! I tried to do some research and can’t figure out what “nylon” means or includes! I have also seen silicone. What about those? The nylon spoons I have are Food Network items I got at Kohl’s. The science on silicone isn’t clear yet, but I’m willing to use it as long as it isn’t heated. We have some items that are silicone, and we just hand wash them in warm water and don’t let them be exposed to heat! Would you be able to recommend the best shampoo and hair conditioner that is free of all toxins? It has been so hard to find products that are free of really all toxins. Thank you so much fo any suggestion and good job on your blog. I love it! I’m curious to know are ziplock baggies ok to use? I’m thinking no. Also, what are your thoughts about children’s toys? I try to buy wood ones where I can, but so many are plastic. Oh and have you heard of Baby Breza? I’ve been using it for 8 months for my little one. I have a feeling that since it’s a lot like a coffee market it’s probably not good for our lil guy. Makes me sick to think I’ve been pumping him full of BPA. I still can’t believe manufacturers are allowed to use these chemicals in this day & age!! Hi Lana! So try to use some cloth re-useable baggies, or stainless or glass if you can. If you must use ziplock, use them for dry things that aren’t going to leach to much- like dry crackers. I hadn’t heard of Baby Breza, but just looked it up. In their FAQs they say they are BPA and phthalate free, but I’d stop using it if it was me. Don’t give yourself a hard time- you do the best you can!! Yeah, wood is best for baby toys, some nice brands are European ones like Haba. First of all, Happy holidays :). Wonderful blog, extremely helpful. I am just wondering, thinking and reading since few days, if all the containers where fruits or vegetables are packaged are safe? Is it plastic or nylon or what it is? And fresh storage folie… Is it safe to use? Dried fruits…they also come in packing which I rather suspect. Any advise on that? I had endometriosis 4th grade a few years ago, removed the cysts from the ovaries and recently got diagnosed with POI. My FSH is high, AMH very low, I`m 36 years old. The period started being sporadic and since the fertility specialist were worried about the high FSH, which at last resulted in hot flashes, I`m put on hormonal therapy. Taking supplements and still not sure what`s the right direction. When we can, we buy food in glass, or we bring our own glass or cloth containers to the store. But ultimately, we wind up buying a lot of food in plastic. As long as the food isn’t hot or high-fat, and you don’t heat it up in the plastic, its not worth worry about. In the end its the total load of phthalates/BPA, so if you’ve reduced everything else and the only thing left is the packaging some foods come in, just give it up to God and let it be!! Hi Anna! Thank you for this wonderful blog, it’s great to find real helpful information in one place. God bless you for this! I am wondering about freezer storage, how do you freeze meats and produce without using plastic bags?